As early as 1809, Baptist settlers gathered for prayer and worship in the Gowensville area, initially using the Goodjoin Meeting House, one mile from the present location. On May 5, 1820 Gowensville Baptist Church was formally organized, though it was initially called Cross Roads Baptist Church. The congregation erected the charming sanctuary seen here in 1913. Cross Roads Baptist Church retained its name until 1873 when the name changed to Gowensville Baptist. In 2000, the name changed once more to First Baptist Gowensville. The churchyard is as historic as the sanctuary. Graves date from prior to the Civil War to the present. 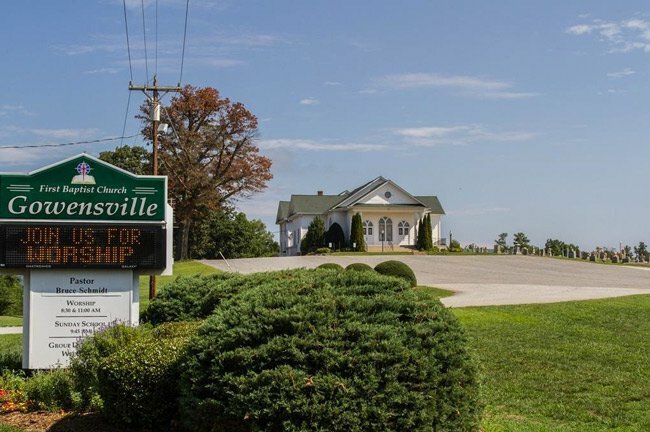 Several generations of Campbells are interred within the Gowensville First Baptist Church graveyard, likely family members of Lafayette Campbell, who owned the land where Campbell’s Covered Bridge sits. 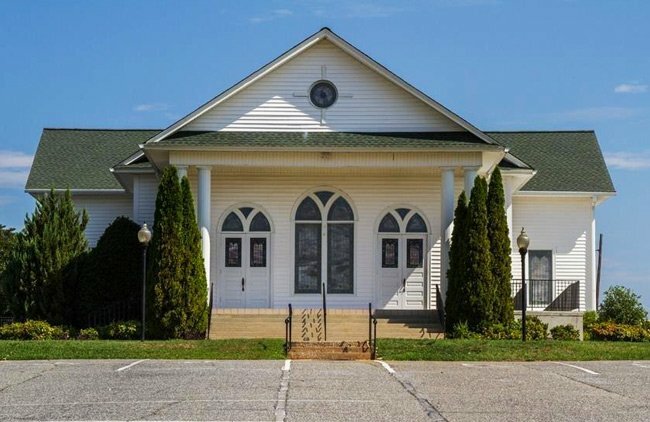 Though Lafayette Campbell and his direct family are buried at Ebenezer Welcome Baptist Church in neighboring Landrum, many of his relatives share the same names as those interred here. Gowensville First Baptist Church remains an active and viable part of this small but historic community. 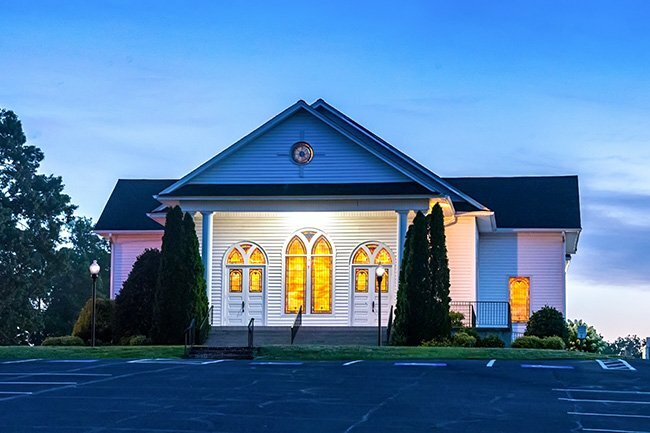 The picturesque church overlooks the countryside surrounding scenic Highway 11 and rests just around the corner from the Gowensville Community Center.